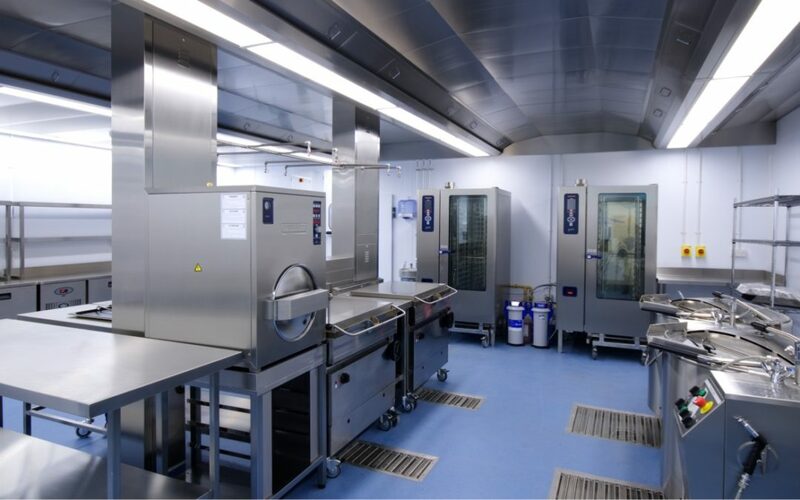 The project comprised conversion of the existing kitchen at St James’ Hospital into a Central Food Production Unit (CFPU). The kitchen layout takes into account efficient workflows and endeavours to limit unauthorised access into the CFPU, to minimise the risk of cross-contamination and improve security. The design rationalises the use of space to minimise capital and running costs. Backup-systems and equipment such as a blast chilling facility and bulk chilled food store are included, to minimise the effects of system/equipment failure on service. The building fabric was in reasonable condition, but all wall and floor finishes were upgraded to latest standards in terms of preventing infestation and ease of cleaning. Studio Four were originally approached by Reside Construction to assist them in progressing the design and construction of a new beachfront café at Durley Chine.